The early sixties was a turbulent time. A time of social unrest along with a contentious war in South East Asia. Hippies railed against “The Man,” and racial tensions ran high. It was at this amazing time that a group of young black men decided to launch a Los Angeles film production company. We were not trying to settle social issues, we simply wanted to make movies. The sixties animation scene could hardly be called healthy. Even stable studios such as Disney saw the need to cut back. As our industry began to shrink, we saw even less opportunity for progress. This was not necessarily based on color, or ethnicity. There simply were not enough jobs for the few who worked in this odd, quickly business. It was against this sixties backdrop we decided to launch our own company. It was called Vignette Films, Inc. and our mission hardly differed from the agenda of our colleagues. They were also bailing out of the few mainstream studios still around to go off on their own. Our white colleagues had an edge. In short time, they were able to obtain financing to launch their film business. We were not so fortunate. When presenting our business plan I do not joke when I say we were laughed out of every bank and loan company in Los Angeles. Back in the sixties the idea that four young black men would launch a movie company could only be called, ludicrous. Our fanciful dream probably would have come to an end, but a well to do investment banker in the La Canada area of the San Gabriel Valley came to our aid. 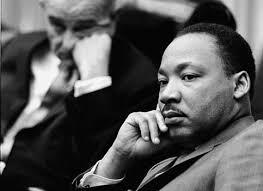 He knew full well the challenges people of color faced in the sixties. Deciding to bypass his own financial institution, he loaned us the money from his personal funds. Call it white guilt or generosity, we soon had the money needed and Vignette Films launched in a suite of offices in what is now know as Korea Town near the Wilshire District of Los Angeles. You’ve probably already heard the story of the 1965 Watts Riot and Roy Edward Disney’s 16mm Bolex movie camera. However, there’s another story and this one concerns a film trip to document a fiery young preacher who was stirring up the Pre Civil Rights American South by staging, Sit Ins and other acts of civil disobedience. Long denied their rights as American citizens, the Southern Blacks had finally had enough. I won’t bore you with the history here because you should already know it. If you don’t, I implore you to please learn it. We were a struggling young company and hardly able to afford flight tickets to the Southern States. Yet, there was no way we could pass on this history making opportunity. We decided to buy cameraman, Eddie Smith an airplane ticket. Armed with his cameras and a stack of Kodak film, Smith headed to Alabama to document what we already knew would someday be history. You probably already know the rest of the story. The sixties continued to rage on as a divided country grappled with social issues, a lost war in South East Asia and the bitterness between two Americas. Each side seemed convinced they would be proven right by history. Sounds a lot like today, doesn’t it? It would appear some things never change. The nineteen sixties was a long time ago. Yet, when I look at issues today I wonder how much we’ve changed as a nation. In some ways we’ve grown a great deal. Yet, I look at the talented people I’ve worked with at Hollywood’s cartoon studios who may well be wearing jack boots and goose stepping down Cahuenga Boulevard. They truly believe our president is taking America in the right direction. It would appear we may not have grown as much as I thought. January 15, 2018 by Floyd Norman.